Carol Ann Wilson: The nation's leading expert on divorce and finance. Carol Ann Wilson, is an internationally acclaimed financial presenter and counselor who specializes in money in marriage. She has counseled thousands of couples with their financial issues. Carol Ann is the author of seven books. She's helped women and men through difficult financial times. Most couples are at a breaking point when they finally discuss money. 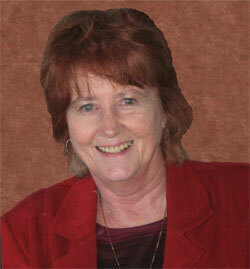 Carol Ann is dedicated to keeping couples together through knowing how to deal with financial issues and money. Written up in: Glamour, Savvy, PC Week, PC Computing, Financial Advisor, Accounting Today, Women's Enterprise, Financial Services Week, Times Advocate, LA News, Chicago Sun Times, Boulder Daily Camera, Rocky Mountain News, Denver Post, Money Magazine, Divorce Magazine, Wall Street Journal and Forbes. Published in: Trial Talk, December 1987; Colorado Lawyer, February 1988; Matrimonial Strategist, August 1988; Women Lawyers Journal, Spring 1988; Practicing Financial Planning for Professionals, 2002 - RH Publishing. Co-Author - Survival Manual for Women in Divorce with Edwin Schilling III, JD, CFP®. Published 1990. Revised 1993, 1994, 2000 and 2004. Co-Author - Survival Manual for Men in Divorce with Edwin Schilling III, JD, CFP®. Published 1992. Revised 1994, 1996, and 2000. Co-Author - The Dollars and Sense of Divorce with Judith Briles, Ph.D. and Edwin C. Schilling III, JD, CFP®. Published 1998. Dearborn Financial Publishing, Inc. Author - The Financial Guide to Divorce Settlement. Irwin Professional Publishing. 1996. Revised 2000 by Marketplace Books. Author - Survival Manual to Divorce: Your Guide to Financial Confidence & Prosperity. Published 2005. Developed Divorce Plan™ software for professionals used in determining financial results in divorce settlements. Developed DivorcePro™ software (both the Canadian and U.S. versions) to be used by divorce professionals in determining financial results in divorce settlements. Developed Divorce Calc™ software for professionals used in determining financial results in divorce settlements.